Jesse and I both get a delicious coffee called the ‘Queen Bee’ at our church every Sunday and I found myself literally dreaming about it throughout the week – so we decided to recreate it! I’m pretty sure we perfected it 😉 and felt it necessary to share both the cold and the hot recipe with you guys! We are huge iced coffee fans, even early in the morning, and we were spending a lot of money picking up coffees from the drive-thru every day. 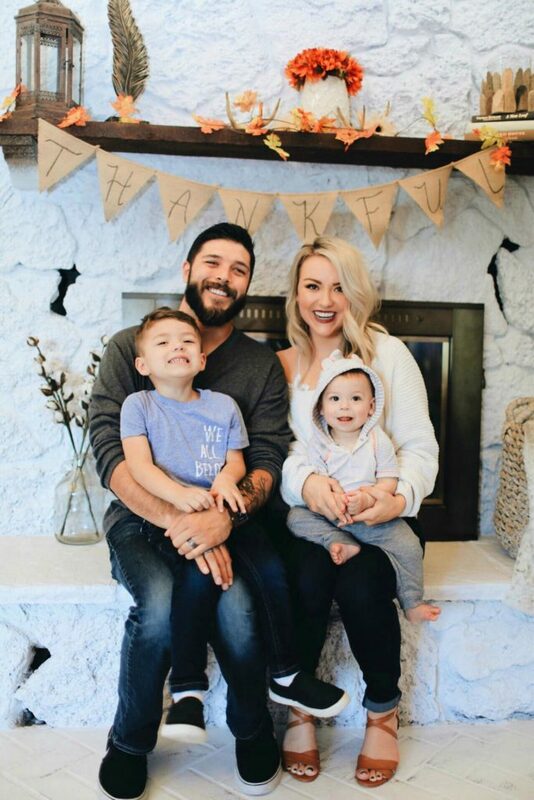 We are currently pursuing a debt-free lifestyle (yay!) and wanted to stop spending so much money on coffee. Just by doing this, we are saving over $200 per month on coffee!! So crazy! 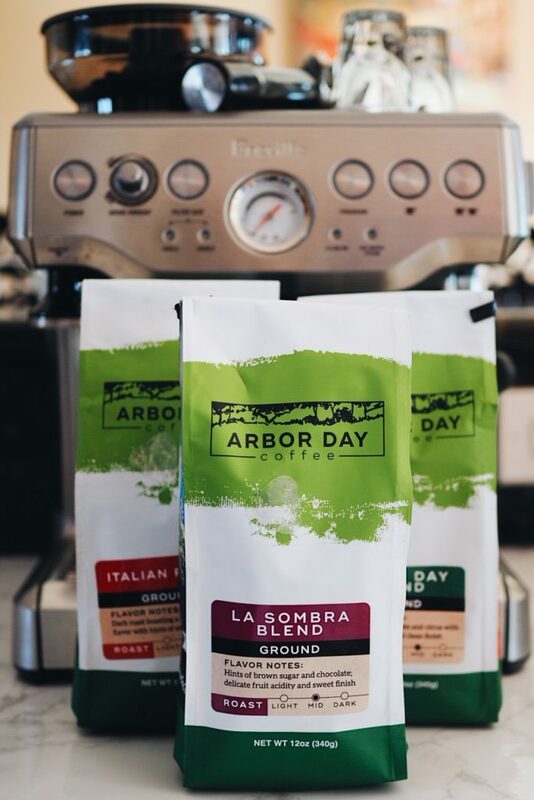 We typically purchase local coffee, but we were recently gifted Arbor Day Coffee and we love the mission behind the company! Arbor Day is a free-trade coffee which also helps the environment by planting trees, preserving rain forests and providing a habitat for the animals that rely on that ecosystem. Much of the coffee on the market is grown under the sun. Around 40 years ago — as the coffee industry really started to grow — farmers were paid on a per-pound basis regardless of the quality of their coffee. In order to increase yield and productivity, the farmers used a practice of clear-cutting areas of rain forest to make way for an easier, cheaper method of growing coffee in the sun. The farmers experience a short-term gain with this approach. However, after just a few years, that ground becomes infertile and more rain forest is inevitably cut down. 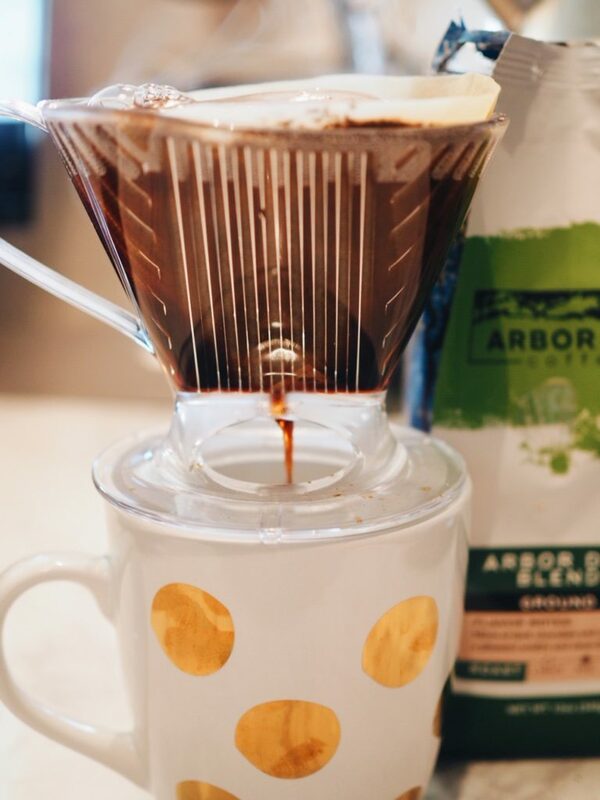 Through Arbor Day’s coffee program, we are able to work with farmers to help them earn a higher wage for higher-quality coffee grown amid the rain forest. They also help them implement more responsible, rain forest-friendly coffee production practices. 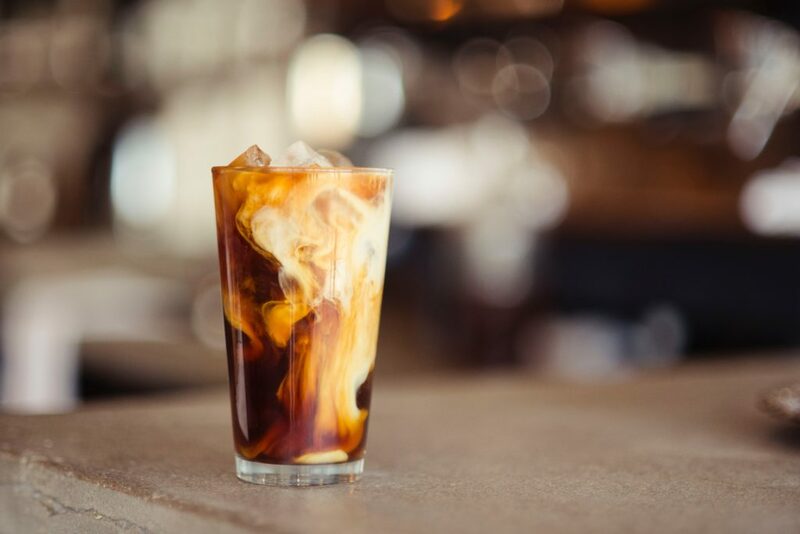 This specific coffee is pretty strong – even for my caffeine-addicted husband – so if you don’t like strong coffee, you can use fewer coffee grounds (or grind the beans more) for your cold brew. 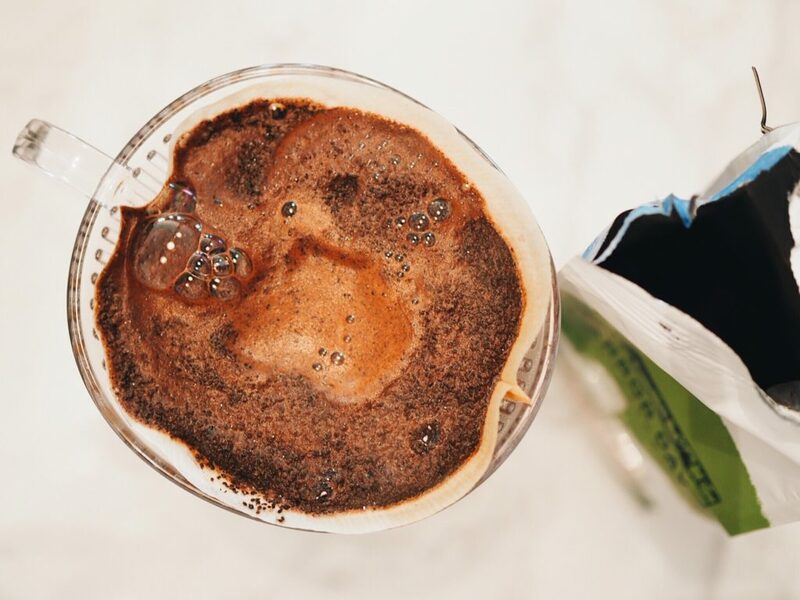 For the hot Queen Bee, you can perfect your Pour-Over to make a delicious hot coffee. 1. Before you brew, place your filter in the brewer and rinse it with hot water. This rinses out the paper residue and warms up your brewer. Warming everything up keeps the brewing temperature stable. 2. The first pour is known as the bloom pour. 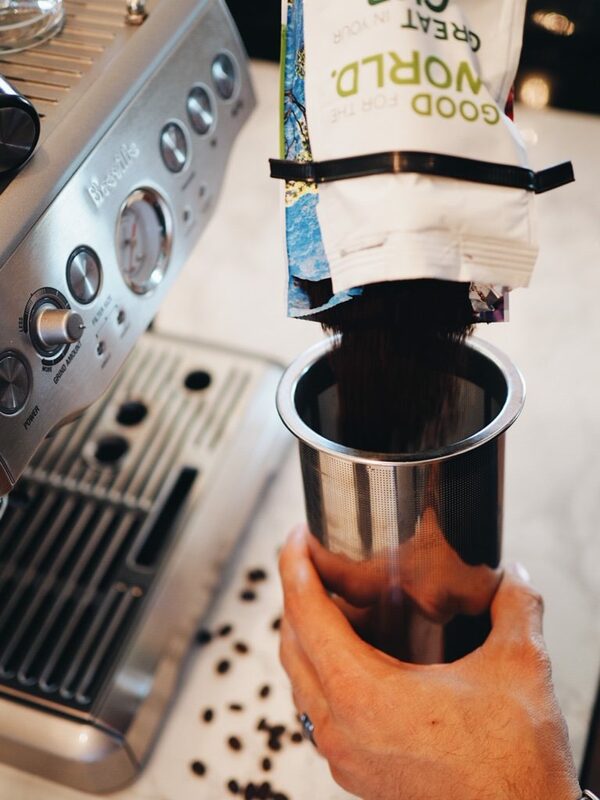 The bloom pour saturates all of the grounds and will help later with an even extraction. Pour about twice the amount of water to coffee and stir gently. This should take between 30-45 seconds. 3. Pour in slow and steady spirals to keep things even. 5. Use about 3 Tbsp. of coffee to 20 ounces of water. 6. And most importantly, make adjustments! If your coffee tastes weak or sour, you should adjust your grind to make it finer. If it tastes too bitter, adjust your grind to make it coarser. 7. 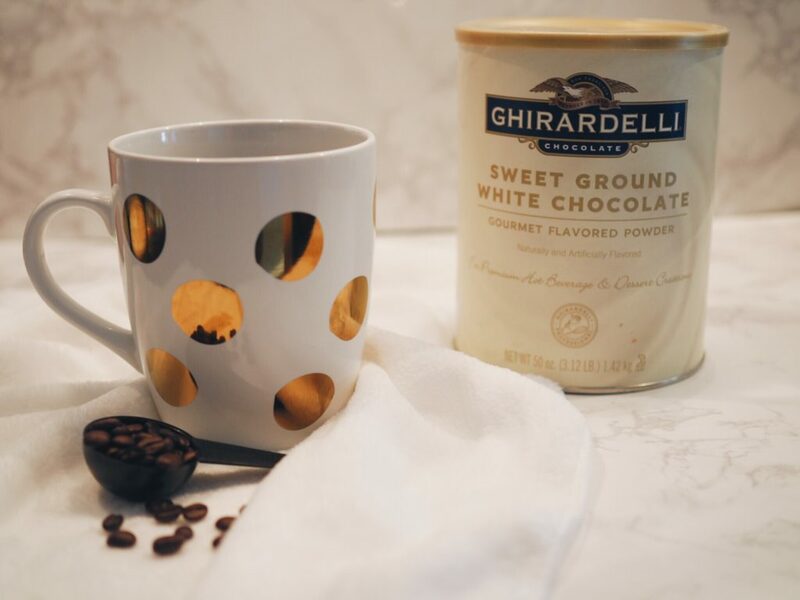 Pour your coffee into your cup, add white chocolate mocha, whipped cream, raw sugar and cinnamon (see recipe above) and ENJOY! 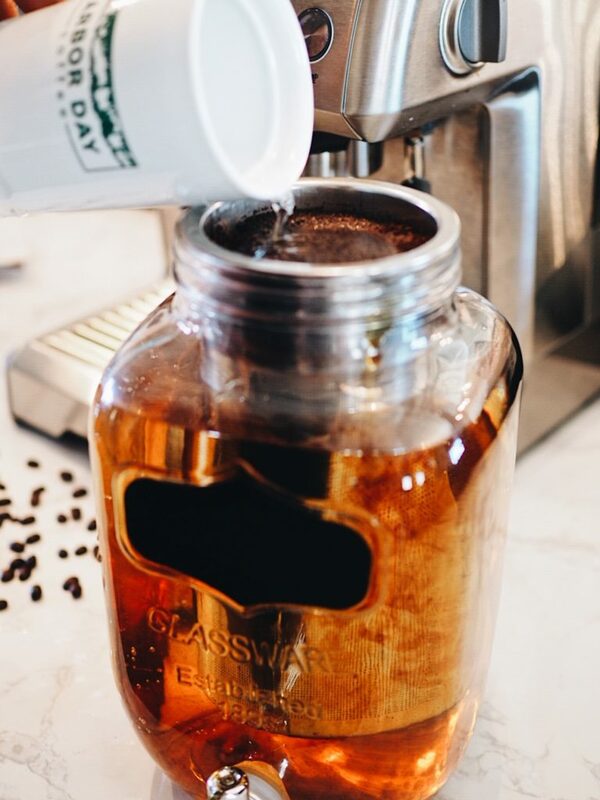 To receive 10% off of any online order of Arbor Day Coffee between now and December 31st, 2018, use the code SPARROWSANDLILY. 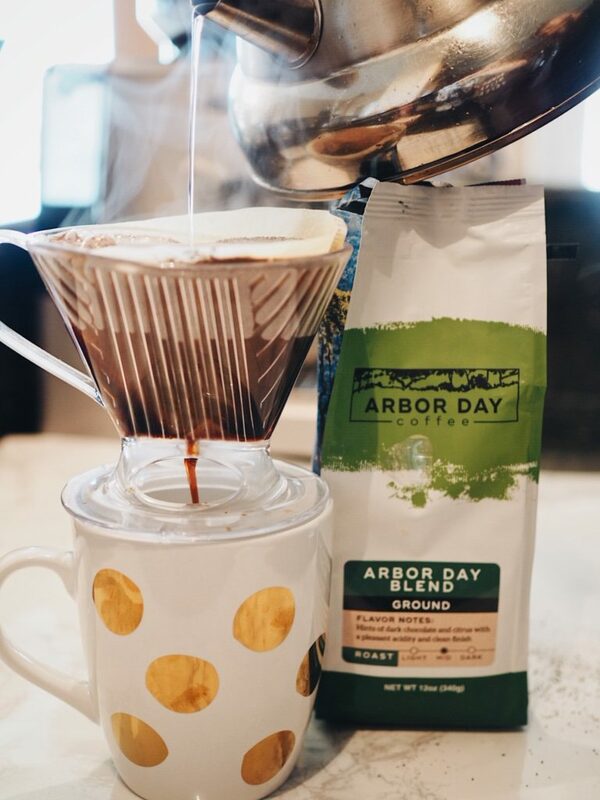 Arbor Day is giving away their Gift Coffee Package ($93 value!) Just leave a comment on this post and then confirm that you left the comment. The confirmation will serve as your entry to the giveaway! 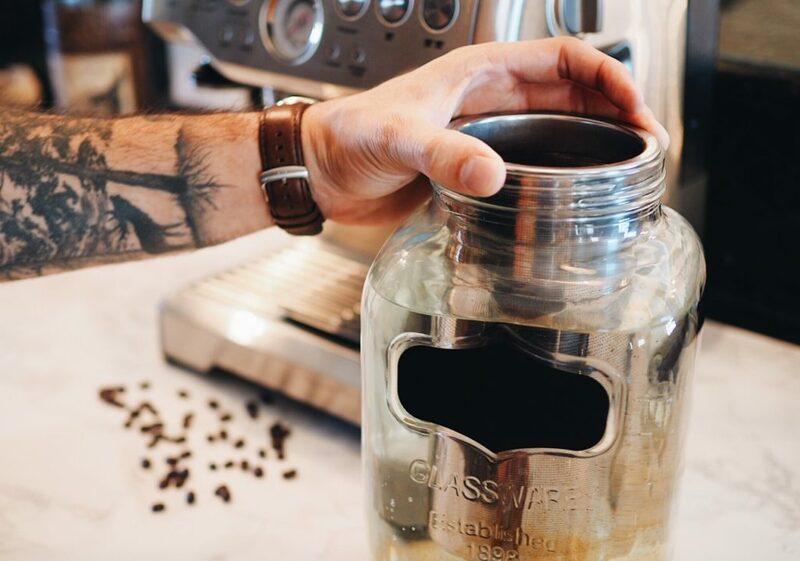 AHHHI I am so excited to try this and buy this cold brew maker. 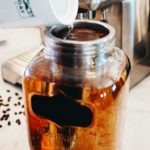 We too are on our debt free journey, and have recently been purchasing coldbrew from the store (aka Target, etc) instead of the drivethru, but this will save even more $$. Thank you Linds! 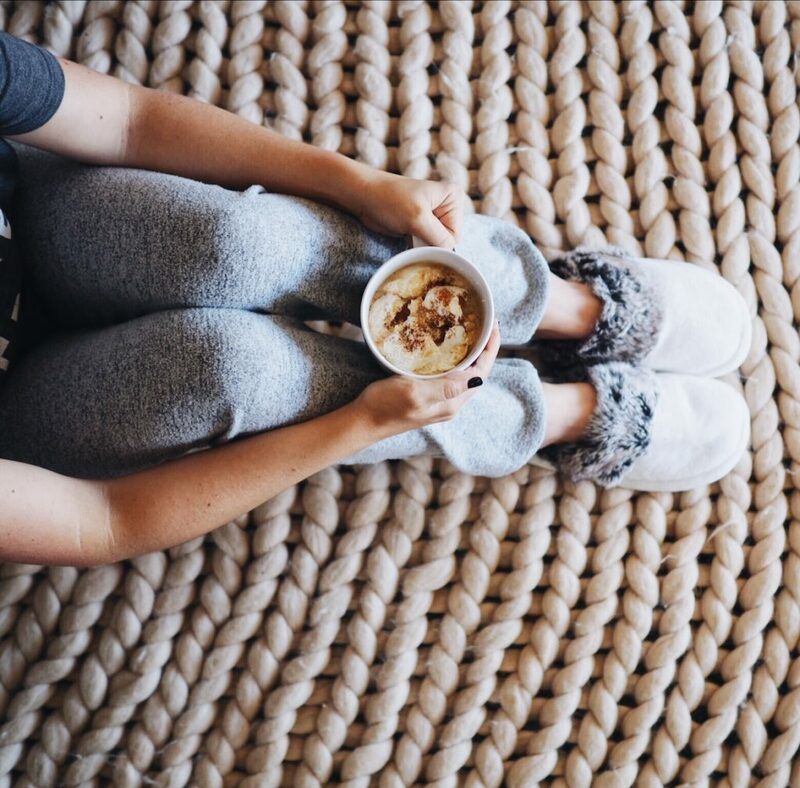 We love coffee here at our place! Have always wanted to try cold brew, home style 🙂 With a baby due in february, we’ll be in need of ALL the more coffee!!! This looks so good! I will definitely be trying it!! I love a caramel macchiato or anything chai or cinnamon!! My favorite coffee right now is with heavy cream and cinnamon!! So yummy! I’m so excited to try this recipe ? I love my coffee iced with one pump of white mocha and it ends up costing me $3 + dollars everyday! So this is a much better idea to do at home in a cold brew style! Love this! This looks soooo good! I will definitely be trying it! I love anything coffee! 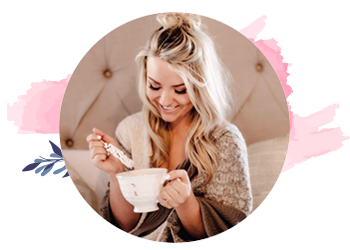 My favorites are caramel macchiato, and anything chai or cinnamon!